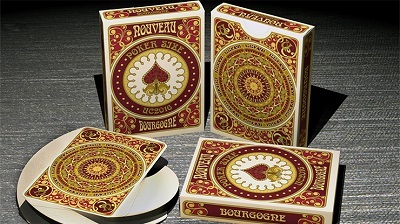 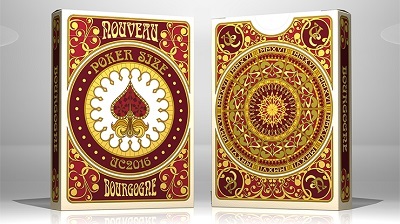 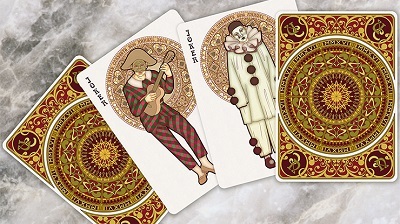 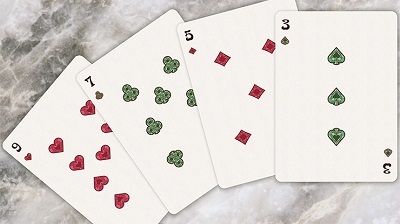 The playing cards are inspired by the designs produced in Rouen, France, back in the 16th century. 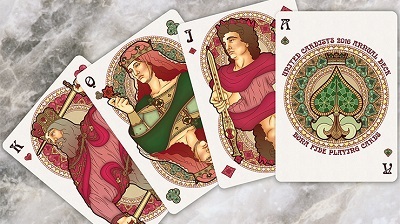 There are different theories about who the court cards represent, though it's hard to find a widely accepted one as the Rouen cards were so badly copied that the current designs are gross distortions of the original cards. 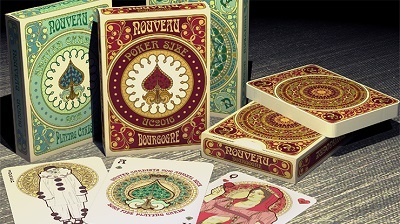 For Nouveau, it was decided that the historical and mythological characters some believe were used for the creation of the first decks in Rouen.